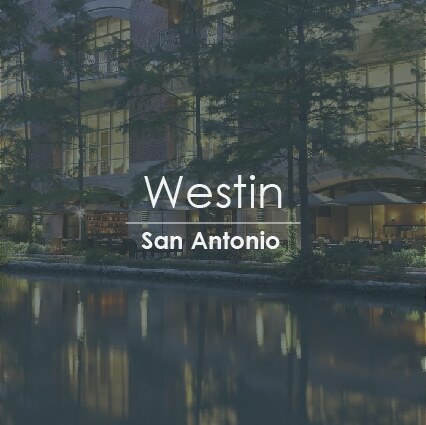 This year COLLABORATE 19 moves to San Antonio TX, and Quest Oracle Community has everything you need to plan your trip here, including discounts. Westin Riverwalk – SOLD OUT! By booking through our official COLLABORATE hotel links above, you receive the best room rates at the hotels closest to conference activities and the best conference rate. You also help us invest in things you asked for in the survey, like a better dining experience, enhanced technology, more networking opportunities and the best and brightest speakers in the community. Note: COLLABORATE organizers reserve the right to charge the full conference rate if accommodations at an official conference hotel are cancelled and rebooked at an out of block hotel. Local organizations not requiring hotel accommodations will receive consideration for the discount during the conference registration process. If the company zip code falls within the immediate area (78201-78299), the system will automatically approve the in-block rate. COLLABORATE 19 and Quest Oracle Community will never call or email you concerning your housing / hotel room(s) for COLLABORATE 19, outside of official emails from QuestOracleCommunity.org or the hotel reservation system. Beware of anyone who contacts you from a third party and mentions COLLABORATE, Quest, Oracle or the dates of the conference (April 7 – 11, 2019). Also, be mindful of the fact that booking your hotel room(s) through a third-party website can increase the risk of potential scams such as stolen credit card information or not having rooms actually booked at your hotel. Neither COLLABORATE, Quest nor our hotel partners can make changes to your reservation or reimburse any associated fraudulent charges on your credit card. 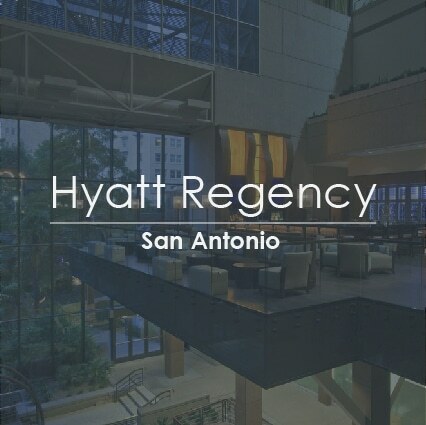 San Antonio International Airport (SAT) should be your destination when you book your flight to COLLABORATE 19. Delta Air Lines is pleased to offer special discounts for Quest Oracle Community attendees. 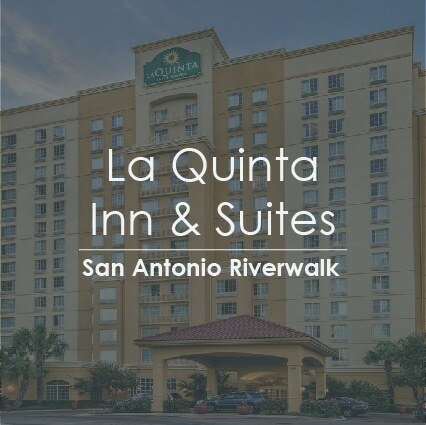 COLLABORATE 19 takes place at this distinctive facility, right in the heart of historic downtown San Antonio – beside the famous River Walk. 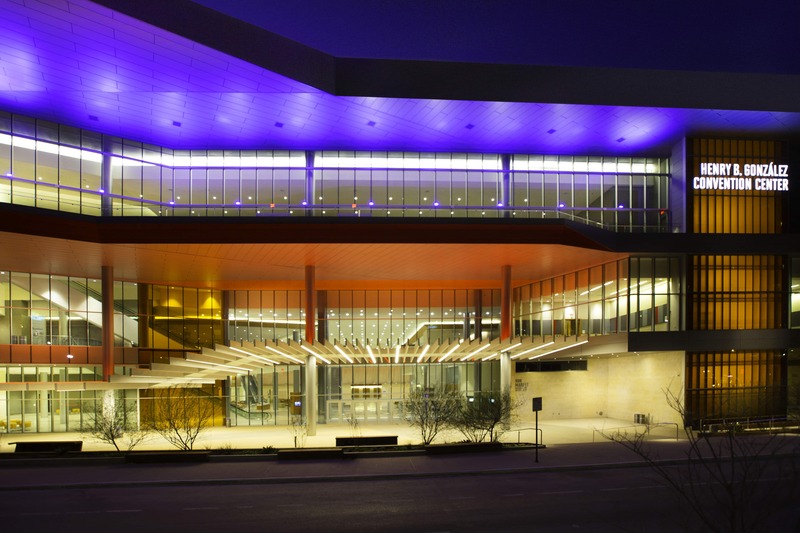 The Henry B. González Convention Center embraces San Antonio’s history and culture while interweaving modern art, design and technology. This eco-friendly facility hosts more than 300 events and 750,000 convention delegates each year. Did you know that your COLLABORATE 19 badge can you get access to 50+ restaurants and nightlife establishments in downtown San Antonio. Just show them your COLLABORATE 19 conference badge and get those discounts! Want to go off and explore San Antonio? Make sure you don’t get lost, take a map! You’ll definitely want to cruise the River Walk. If you need helping getting around, there are plenty of local transportation options available. 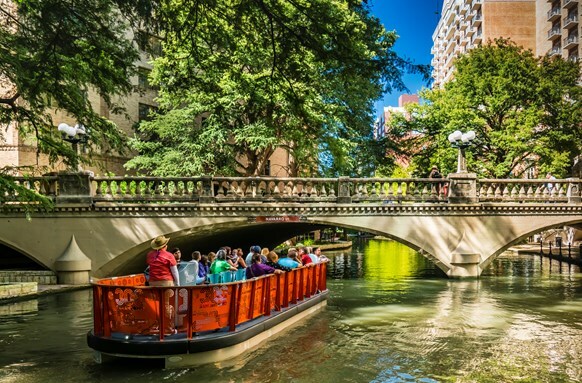 Every year, millions visit this urban waterway that weaves along the San Antonio river. With tree-lined paths and arched bridges, the pathways of the River Walk wind through the center of the city. Walk, bike or river cruise along 15 miles of paths to museums, historic Spanish missions, shops, restaurants and cultural destinations. 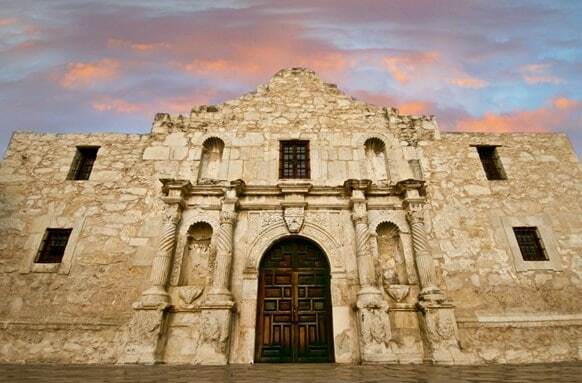 The Alamo in San Antonio is the site of the Battle of the Alamo in 1836, during Texas’ war for independence from Mexico. Visit the 300-year-old Spanish mission that turned into a fortress where hundreds of Texans died defending the Alamo and fighting for freedom. The Briscoe Museum preserves and interprets the art, history, and culture of the American West through engaging exhibitions, educational programs, and public events reflective of the region’s rich traditions and shared heritage. As San Antonio’s first neighborhood, La Villita Historic Arts Village is an arts community with a deep and rich history. Originally a settlement of primitive huts for Spanish soldiers stationed at the Missions San Antonio Valero, the streets are now lined with shops, working artists, restaurants, and more! Go Rio offers a spectacular experience of the San Antonio River Walk that showcases the sights, wonders, and culture of this unique American city.